For the first time in its history, the DU results were announced in record time of 15 days. But the impossible seems to have happened at the University of Delhi. A student scored 102 marks in her French paper, which was, to her utter amazement, a paper having 100 marks as maximum. Soon, similar discrepancies surfaced in other colleges. 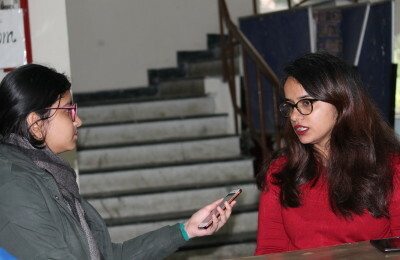 Eleven students of Kalindi College have received two sets of their third semester exam results. In the second marksheets, six marks have been knocked off their total scores. As a result, a few failed. There are reports from other colleges of similar discrepancies in the results of the undergraduate semester exams conducted in November-December 2012. “Much ink has been spilt on the woes of the Semesterization that was has been established in the University over the last two years. What we have seen is in fact a series of actions which have only compounded the mess,” quoted a second year student. This faux pas is still not taken seriously by the varsity authorities. This matter was raised by one of the victims in VC’s “darbar” as she was denied admission in Law Faculty seeing the unrealistic marksheet, but no austere steps were taken in this regard. The university’s examination system has lost its credibility pertaining to regular inconsistencies being witnessed every time semester results come out. University authorities have repeatedly blamed the sheer number of students, not only for such problems, but even for major reforms such as removal of provisions for special chance and re-evaluation. University sources say such faults have become common since the introduction of the semester system, which practically doubles the work of the exam branch. University authorities admit that given the large number of students involved, errors are possible. Mistakes can happen while dealing with the evaluation and declaration of 122 results for 1.30 lakh students. DU has opened a grievance redress window and is now rectifying the mistakes. Evaluation of students is meant to test their understanding of the subject, their power of critical thinking and ability to assimilate the syllabus. This is to provide an honest benchmark for an outsider to gauge the student’s appropriateness for a job, for further academic work etc. Unfortunately this doesn’t happen when it is obvious to outsiders that the marks are not a reflection of the student’s abilities- either by themselves or in a comparative sense.